With the start of the 2nd part of the SEHA – Gazprom season, SEHA and Konzept Nutrition, the German sports nutrition company have signed a one and a half year partnership. Konzept Nutrition offers supplements and proteins for athletes and active people. “Partnership with the Konzept Nutrition will, for the next one and a half year, assure that our players and teams have the necessary supplements to achieve their desired athletic performance. SEHA is always trying to offer the best possible conditions for its clubs, and this partnership with Konzept Nutrition was one of our goals this season. 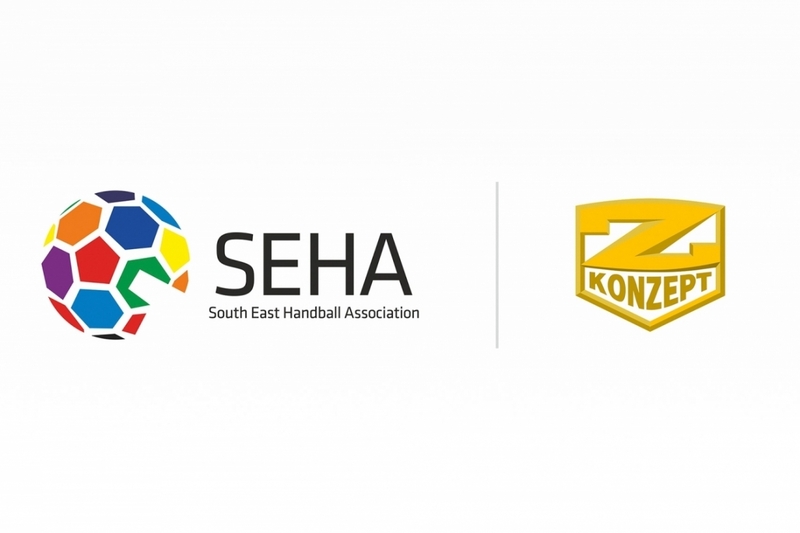 We hope the partnership between SEHA and Konzept Nutrition will be at mutual satisfaction and we are looking forward to our future cooperation”, said Sinisa Ostoic, Managing Director of the SEHA – Gazprom League. „We are proud to sponsor SEHA and all the teams. This is an important step for us to show people the impact of nutrition is in sports. Especially Handball players have a really tough game plan and just short time to recover. Here nutrition takes a big part and in the end it is all about quality. And this is my personal passion. Our focus is to develop perfect products for professionals in different sports to enable them to give their best. So we all hope to see brilliant games during the SEHA-Gazprom season and enjoy this powerful sport“, claims Rainer Zirkelbach, CEO and Founder of Z-Konzept Sport Nutrition, specialist for professional sport nutrition Z-Konzept produces exclusively in Germany with state-of-the-art production facilities.